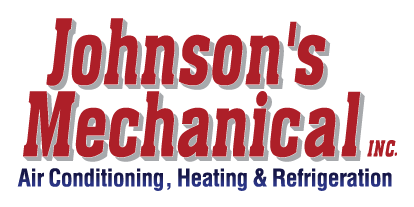 Benefits of Regular Duct Work Maintenance | Johnson's Mechanical Inc. Benefits of Regular Duct Work Maintenance | Johnson's Mechanical Inc. If you’re like most homeowners, you probably don’t give a lot of thought to your duct work. However, your duct work plays an important part in your HVAC system, and leaving it unattended can have unpleasant effects on the rest of your home, including decreased efficiency from your air conditioner, as well as a decrease in your indoor air quality. Putting it into a more positive light, regular maintenance to your duct work can go a long way toward keeping your home comfortable and your air clean. Duct maintenance improves AC efficiency. Over time, your duct work can collect dust and grime. If too much of this sediment collects in your ducts, it can restrict airflow and therefore reduce the efficiency of your AC unit. Your AC will have to burn more energy to keep your home at a comfortable temperature, and you’ll likely see this reflected in your energy bill. Call our team at Johnson’s Mechanical Inc. to clean your duct work periodically to keep your home comfortable in the most cost-effective way. Duct maintenance improves comfort. As mentioned above, too much dust in your air ducts can cause your AC unit to become less efficient, having to work harder to maintain the same temperature. In some cases, this loss in efficiency can also manifest as a loss in effectiveness–your unit might not be able to achieve the desired temperature at all. To avoid having to deal with a stuffy, overheated home, make sure to call our team at Johnson’s Mechanical Inc. for regular duct work maintenance. Duct maintenance improves health. The dust that collects in your duct work can contain many different pathogens, including pet dander, pollen, and mold. These particles will continue to circulate throughout your home as long as deposits remain in the ducts, exposing you and your family to their unpleasant effects, such as congestion or coughing. These symptoms can be even worse for those with existing respiratory conditions, so to be on the safe side, it’s best to schedule regular duct work maintenance with our team at Johnson’s Mechanical Inc.